This past Saturday was my first foray into the Red Stick Farmer’s Market downtown. My roommate and I are going back tomorrow. As it so happened, the Arts Market was also being held (and will be every first Saturday of the month). My first thought: how did so many people know about this and not me? The Art Market offers an eclectic collection of one-of-a-kind pieces. 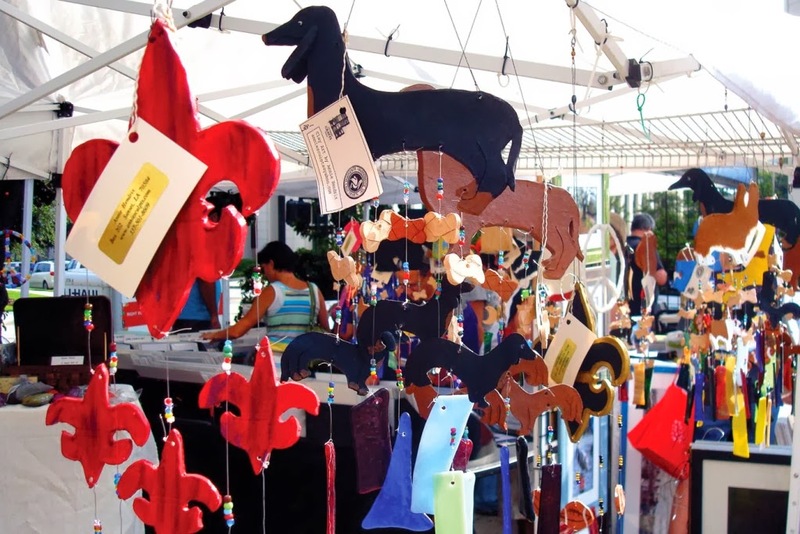 From jewelry to birdhouses, along with paintings and some non-traditional wall art, this corner of downtown becomes a showcase for local artists. A fleur de lis necklace at one of the booths initially caught my eye. This massive silver and turquoise beauty seduced me immediately and I was in love. I was not, however, prepared for the financial commitment it requested of me and I was forced to say adieu. While leaving my newfound soul mate was difficult, I found plenty of distractions along the road. I ran across plenty of unique wall décor, some on traditional canvas, others on “sinker” cypress and screen doors. Refurbished totes from “trash” and hand-dyed fabrics beckoned me for a test drive. Beaded wind chimes and uncommon pottery pieces tested my determination. It’s safe to say I fell in love a lot that day. Two steps over to the right and I made it to the Red Stick Farmer&apos;s Market. 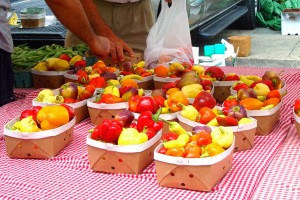 The Farmer’s Market might be the best-kept secret in town. Although apparently it’s not so secret considering the crowd for 9 a.m. on a Saturday. Fresh eggs, local produce and homemade snacks and desserts made me want to linger for longer than I had time. I grabbed a fresh smoothie and continued forward, ignoring the pecan pie I kept smelling. Making my way between families, couples and students, I noticed that people would often stop and chat with vendors and each other. The feeling was definitely of community. It was great seeing so many people supporting their local farmers. The Red Stick Farmer’s Market has been held downtown since 1996. It’s open every Saturday morning, rain or shine, from 8:00 am until noon on Fifth Street at Main Street in downtown Baton Rouge next to Main Street Market. While some vendors do accept credit cards, most prefer cash; but there is an ATM in the Main Street Market.